If there is something that we seem to need more in a day, it is energy. Usually we feel tired once afternoon sets in, even though we had a complete eight hours of rest, and a pile of workload can even drain it further. Motivation goes down the drain along with physical and mental strength, and there is nothing else that you want other than to crash in bed and sleep. Instead of gulping down an energy drink (with potential side effects associated with long term use), you can instead take supplements that not only help restore energy, but can also bestow other health benefits that will surely keep you in top shape in the long run. These supplements are written for informational purposes only, and should never be substituted for professional medical advice. Always seek first the opinion of an expert regarding this matter before taking a supplement to avoid unwanted complications. 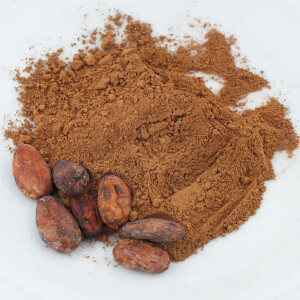 The raw powder form of cacao is superior than other kinds of cacao powder as the beans used to make it are not roasted, therefore preserving its extremely rich amounts of vitamins and minerals. It is touted as a “superfood” and has been recognized in the prominent ancient healing system Ayurveda and in traditional Chinese medicine for its potent medicinal properties. A tablespoon of raw cacao powder tossed into a drink is enough to turn it into an energy and mood booster, not to mention the sharpening of cognitive function, and it can serve as a healthier option for those who are struggling with an addiction to sweets. It can also be combined with other energy boosters, such as goji berries, into a tasty snack that greatly uplifts. However, there is a minimal amount of caffeine in cacao, so people who are sensitive to it must practice moderation when consuming cacao. Always look for the raw form when purchasing it in a health store. Tyrosine ensure the proper development of the nervous system and its maintenance as well. The amino acid also helps replenish energy that has been lost due to fatigue, and helps the body cope with stress more efficiently thanks to its handling of norepinephrine. Tyrosine prevents stress-induced physical and cognitive decline, especially during moments of great pressure, thus helping the body maintain focus and energy. Its effects differ from each person, with some reporting to have experienced jittery side-effects, hence it is important to consult an expert first to determine the proper dosage for maximum efficacy. 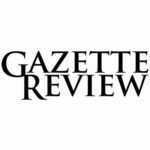 Among the functions of coenzyme adenosine triphosphate (ATP) is the provision of energy that is used in a majority of the body’s metabolic processes. ATP only does its job if it is coupled with magnesium, acting like a “battery” for the coenzyme to function. Aside from that, the mineral plays a role in many function that keep the body healthy and the organs properly functioning. There are many food sources of magnesium like whole grains, vegetables, beans, almonds, nuts, dark chocolate, to name a few. The abundance of the mineral in many different sources and supplements make it hard for one to be deficient in it, but certain conditions like intestinal and renal problems, alcoholism, and aging can raise the risk of being deficient in magnesium. For those who are working out, proper magnesium levels help maintain oxygen levels during exercise, making it hard for the body to be easily worn out. Known as a natural energy enhancer due to its effectiveness in relieving physical and mental fatigue. Rhodiola works by stimulating the regeneration of the nervous system while sharpening the mind and easing mood. Its effects persist even in situations that drain the body’s energy levels, making it an ideal supplement for those who work long hours or in stressful environments. Another bonus is that it shields the body from problems triggered by stress as it is an adaptogen. It is ideal to take a supplement before the start of work, or during the middle of the day to keep energy from depleting. A microscopic algae that has been regarded as a “superfood” due to its rich amount of B vitamins, beta carotene, vitamin E, proteins, essential fatty acids, and minerals copper, iron, and selenium. The B vitamins, protein, and iron content in spirulina are the ones responsible for giving the body an extra kick in energy that lasts the entire day, aside from the other benefits provided by these vitamins and minerals. Iron enhances the body’s use of oxygen with its hemoglobin production, B vitamins ensure the smooth process of digestion, and protein helps the body absorb more nutrients. It is also found to exhibit antioxidant properties, protecting the body from free radicals and repairing damage already induced by it. 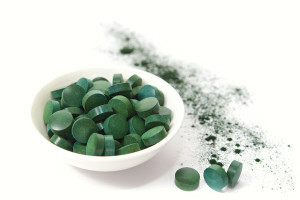 Spirulina is usually sold in capsule form, and its powder form can be used as an ingredient for snacks or desserts. As it was used for years as a food source by the Aztecs and the other indigenous populations of South America, spirulina can be taken without any worry of side effects. A well-known Indian herb that is usually given to patients with depleted energy levels due to illness. Ashwagandha is teeming with chemicals that help the body recover quickly in terms of energy and health, while fighting off the feelings of fatigue and the effects of stress. Its name is actually the combination of “horse” and “smell” in Sanskrit, meaning that the herb bestows vigor equal to a horse. There are also studies that point out the herb’s capabilities in reducing certain neurodegenerative diseases by enhancing the regeneration of brain cells and bolstering its defenses against factors that can negatively affect neurological health. Ashwagandha has many forms sold in health stores, from capsules to powders that can be stirred in drinks. A root with powerful medicinal properties whose use stretches back to the ancient times. There are many varieties of ginseng in existence, and the Asian (Panax Ginseng) and American (Panax quinquefolius, L.) variants have energy enhancing capabilities, along with other health benefits. Ginseng produces energy and remedies the feelings of exhaustion and fatigue by increasing the creation of ATP, hence allowing better energy production in the body. Cancer patients undergoing treatment have been found to respond positively to ginseng’s energy boosting properties. Also, as an adaptogen, ginseng helps the body become more resistant to physical, mental, and environmental stress. Health stores sell ginseng supplements, tea, and even dried roots for homemade tea. There are also certain recipes that make use of ginseng root or powder in their ingredients. 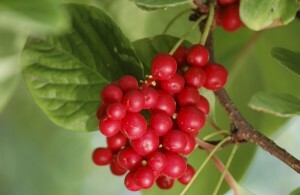 Also known as schisandra, known to burst into a spectrum of flavors upon consumption, hence its name. Its medicinal properties are well-recorded throughout history, earning it a place among the most important herbs in Chinese herbology. The berry is believed to slow down aging, increase energy levels, block off fatigue, and enhance sexual performance. Aside from that, it also displays protective properties on the liver and the cells, and also works as an adaptogen. Schisandra bestows energy and better concentration without the usual side effects wrought by some energy boosters like insomnia or anxiety. Just like other berries, it can be eaten raw or taken in supplement form. Also known as wolfberry, these red/orange berries originate in China and was consumed for thousands of years due to its health benefits and the belief that it can extend life. It is packed with nutrients, has a high amount of protein, iron, and carotenoids, and also has antioxidant, antibacterial, antifungal, and anti-inflammatory compounds. Traditional Chinese medicine states that the berries help with remedying dizziness, problems in eyesight, and back pain. For energy, consumption of the berry not only gives a boost but also enhances hormone release, bolsters the body’s stress endurance, increases levels of libido, sharpens mental acuity, and brings about a brighter mood. The berry is available not only in supplement form, but also in dried forms that can be eaten as is or included in oatmeals or trail mixes. 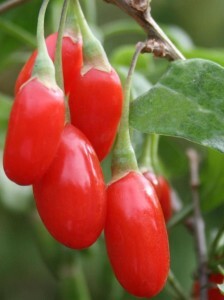 It is believed that the liquid form of goji berries is the better choice as the body easily assimilates the liquid. Have you tried any of these supplements? Do you have one that is not mentioned here? Let us know in the comments.